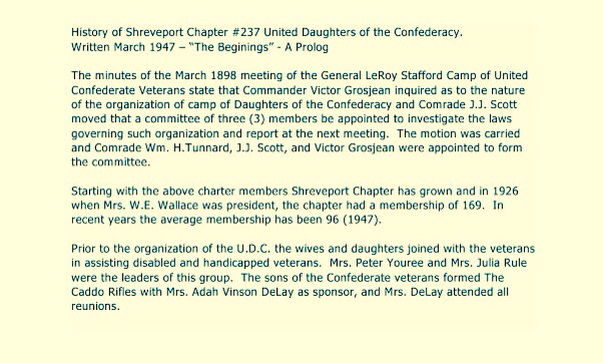 All information, images, and documents on this and all other pages of this web site are the property of the Shreveport Chapter #237 of The United Daughters of the Confederacy and may not be copied, quoted, or used in any way without written approval by a current officer of the chapter. The Caddo Parish Confederate Monument in Shreveport is on The National Register for Historic Places. The above link is to the United States Department of the Interior National Park Service summary website with basic information on the monument. 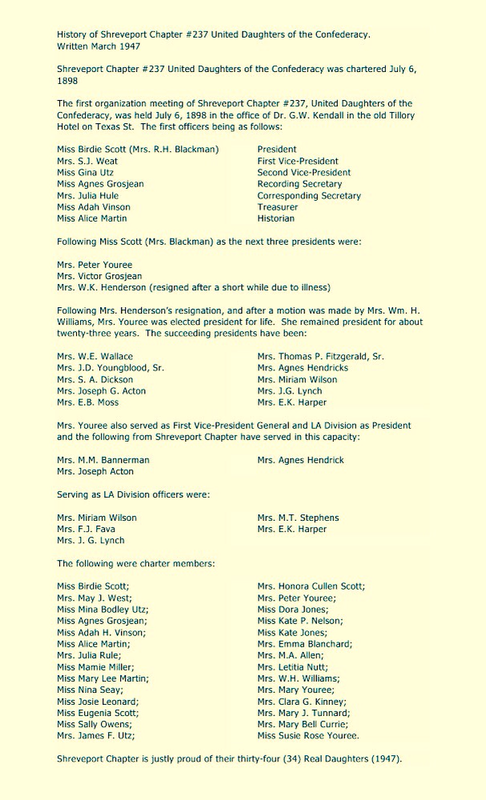 The link to the NPS website's complete monument application is below.